SOMERSET, N.J., July 1, 2013 – The Post-Finasteride Syndrome Foundation today announced the funding of a major clinical study on post-finasteride syndrome (PFS) at Brigham and Women’s Hospital (BWH), a teaching affiliate of Harvard Medical School. Titled “A Preliminary, Hypothesis-Generating Investigation of the Post-Finasteride Syndrome: Description of the Phenotype, and Elucidation of the Hormonal, Genetic and Epigenetic Mechanisms”, the study is being led by Shalender Bhasin, MD (left), Director of the Research Program in Men's Health: Aging and Metabolism at BWH. The objective of this systematic investigation will be to determine whether there is a syndromic constellation of signs, symptoms and hormone levels that characterize PFS. Patient recruitment is currently underway. Prospective patients may call Allen Papazian at (617)525-9197 to determine if they are eligible. "This study promises to be an important step in our progress toward better understanding post-finasteride syndrome," said PFS Foundation CEO Dr. John Santmann. On April 11, 2012, the Food and Drug Administration ordered drug manufacturer Merck to revise the labeling on Propecia to reflect mounting evidence that it can cause persistent sexual dysfunction. Of the 421 Propecia-related sexual dysfunction cases reviewed by the FDA in its probe, 14 percent lasted longer than three months after patients quit the drug. 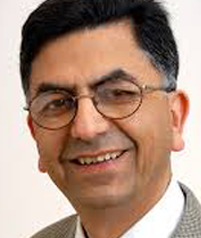 Dr. Bhasin is an internationally recognized reproductive endocrinologist with expertise in androgen biology who is director of the Men’s Health Unit, Division of Endocrinology, Diabetes & Metabolism in the Department of Internal Medicine at BWH. He has served in many national and international leadership positions, including Chair of the American Board of Internal Medicine: Endocrinology & Metabolism Subspecialty Board, Chair of the Endocrine Society’s Expert Panel on Androgen Deficiencies in Men, and Associate Editor of the Journal of Clinical Endocrinology & Metabolism. Brigham and Women's Hospital (BWH) is a 793-bed nonprofit teaching affiliate of Harvard Medical School and a founding member of Partners HealthCare. Founded in 1980, BWH has more than 3.5 million annual patient visits, is the largest birthing center in New England and employs nearly 15,000 people. Through investigation and discovery conducted at its Biomedical Research Institute (BRI), BWH is an international leader in basic, clinical and translational research on human diseases, more than 1,000 physician-investigators and renowned biomedical scientists and faculty supported by nearly $640 million in funding. For the last 25 years, BWH ranked second in research funding from the National Institutes of Health (NIH) among independent hospitals. Headquartered in Somerset N.J., the Post-Finasteride Syndrome Foundation was established in July 2012 as a 501(c)(3) organization, with private grants from families in the U.S. and abroad. Tax-deductible financial donations to the nonprofit organization can be made via PFSFoundation.org, which also houses published research, research goals, and media reports about PFS.